Working full-time year-round leaves everyone drained at one point in time. You’ve planned the perfect island vacation for spring break with awesome activities like hiking through the tropical hills and parasailing over crystal clear ocean waves. The last thing on your mind is a dental emergency, but have you taken the time to consider what you would do if an accident did happen while you’re out of town? Although it’s unlikely to happen, dental emergencies tend to take place when we least expect it. Your emergency dentist in Memorial wants you to be prepared for when accidents happen whether you’re local or abroad. 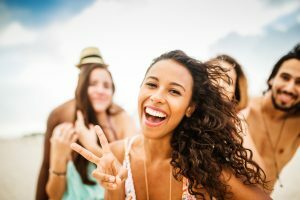 Review this helpful information and go into spring break with the knowledge and confidence to address any dental emergency. If you would like instructions on what to do directly after an emergency occurs, click here. These steps can save your teeth while you are in pursuit for proper care! If you let any condition continue without proper dental care, it will definitely get worse. Infections can spread, last damage can occur, and the costs associated could increase if you wait to see a dentist. The Office of Mark Gray, D.D.S. would never suggest waiting to seek the proper dental care, even if you aren’t able to visit our office. Our top priority is making sure that our patients are receiving the care they need and deserve. In an ideal situation, you would visit our office to make sure that you receive the best dental care available. If you encounter an emergency that requires immediate health care—not specifically dental care—always go to the nearest emergency room! For instance, if you happen to experience a serious concussion due to a hard blow that knocks out several of your natural teeth, please visit your nearest emergency doctor to address the concussion first. Once your priority health concerns have been addressed, reach out to either Dr. Gray or Dr. Newman will be happy to discuss your best restorative options. We always recommend visiting our office before going on a trip out of town. We can provide you important information before you leave town like which activities you should avoid. Chewing ice, chomping down on extremely hard foods, or indulging in sticky foods can damage your teeth or any dental restorations you may have. We will also deep clean your teeth and address any dental health concerns you may have beforehand. It is still possible to enjoy your relaxing vacation and still take care of your teeth and gums responsibly. If you care for your teeth and gums now, they will take care of you for years to come!